Showing 1 - 10 of 21 Products for Bumper Grille Insert. Putco's application specific Radiator Grille Inserts install easily into the radiator factory grille opening of your vehicle. Each grille kits includes easy to follow instructions and wiring for easy installation. Available with or without LED's. 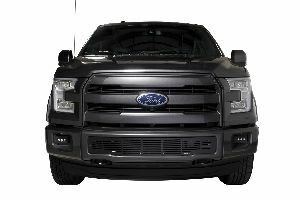 Putco's application specific Ecoboost Grilles install easily into the radiator factory grille opening of your vehicle. Heavy gauge design - 1/4 inch Thick. Installs over the existing truck manufacturers grille. Putcos Lifetime Warranty. Simple to install. Applications available for most full-size trucks and SUVs. CNC Machined - designed an manufactured with precision. PRICED RIGHT!